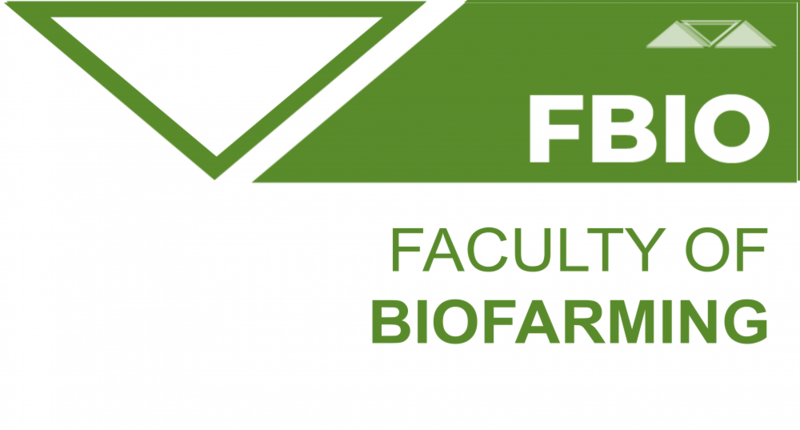 Faculty of Biofarming is among the first higher education institutions to have accredited programs related to healthy and safe food production more than a decade ago. The accredited programs at all levels (undergraduate academic studies, graduate master and doctoral academic studies) offer the knowledge and skills related to contemporary trends supporting sustainable development. Given the fact that agricultural production has a significant share in the emission of harmful gases, and degradation of natural elements important for the production of food (soil, water, air, biodiversity), students of Faculty of Biofarming can learn what measures and methods in production technology meet the basic principles in sustainable agricultural systems. In order to modify production technology, which has a negative impact on ecosystems, it must be defined what needs to be changed. Therefore, we can say that, in addition to sustainable production systems, the students of Faculty of Biofarming are in the position to study the conventional systems that require modification in accordance with the form of sustainable agricultural production. Why should you choose to study at Faculty of Biofarming? Sustainable agricultural production systems have a great potential for development in our country owing to a good position (climate and relief) and resources in all regions of Serbia. The introduction of sustainable agriculture in the near future will play an important role in economic reconstruction and represents the foundation for the development of other industries such as different forms of tourism. The Faculty can proudly emphasize the fact that our students are recognizable in the labor market, that they can continue their education and find a job at numerous world-renowned institutions. The special advantage of studying at our Faculty is that all the faculty are ready to dedicate their time to students, spending it by helping them in scientific research work, visiting companies, fairs and through other forms of education.